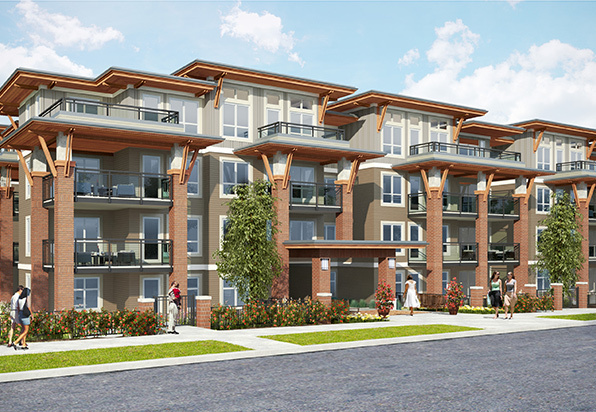 We are delighted to present to the Edmonds neighbourhood of South Burnaby, a brand new collection of low-rise homes ready to move in a few short months. Tucked into a quiet corner of an existing residential neighbourhood while adjacent to a protected and restored stream, Storybrook is placed in an idyllic setting that is mere minutes from Skytrain and every conceivable big-city amenity. We encourage you to drive past the site and witness, first-hand the final stages of construction, in the upcoming weeks as we get ready to prepare for our grand opening in the very near future. When we open for sales, these homes will be move-in ready so you can tour and view the finished homes before you make your purchase. You can find Storybrook at Stride Avenue and 17th St in Burnaby.